Today is marked as ‪#‎GivingTuesday‬, which is a global day of giving. After the sales of the weekend, #GivingTuesday is an opportunity to come together to show the world why it’s good to give. Whether it’s making a donation, volunteering your time or just spreading the word at the start of the Christmas shopping season, #GivingTuesday is a call to action for everyone who wants to give something back. Donations to the Carmelites enable us to support our ministries in the UK, and to support many special causes around the world. In Colombia, the British Province have committed to building extra classrooms for the high school that the local Carmelites run in the country; for East Timor, we have pledged £25,000 per year to support the training programme for young Carmelite friars; and in Kenya, we plan to donate a minibus to help in their work travelling to the numerous rural Christian communities. The Carmelites would like to do much more. 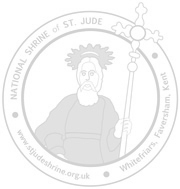 If you would like to donate towards the work of the Carmelites in Britain and the UK, you can do that here: https://mydonate.bt.com/events/cct/285473; or directly to the Missions, here: https://mydonate.bt.com/events/carmelitemissions/444959. 1239 to receive 12% off any order at the online shop. Finally, if you are buying your Christmas shopping online, you can shop through the Giving Machine! Once you have registered, you can shop online at any of the 400+ top retailers who have teamed up with charities via The Giving Machine. By entering the site through a special portal you can take advantage of the many exclusive special offers and discounts available to all givers, and every time you shop via The Giving Machine the retailer pays a sales commission. The Giving Machine converts 75% of this commission into a donation to the Carmelites so we can use the money for our work. Or, if you are shopping on Amazon, please use visit them via this link and we receive donations for every purchase you make. All money raised will go towards the work of the Carmelites in the UK and abroad.